if it's on a screen, we can design it! At Think Studios we are self confessed “Tech-Heads”. We like anything with a screen. With technology always increasing, digital design has developed into a crucial platform in gaining customer or client drive and engagement. Think Studios develops custom websites that optimise on design, functionality, compatibility and security. 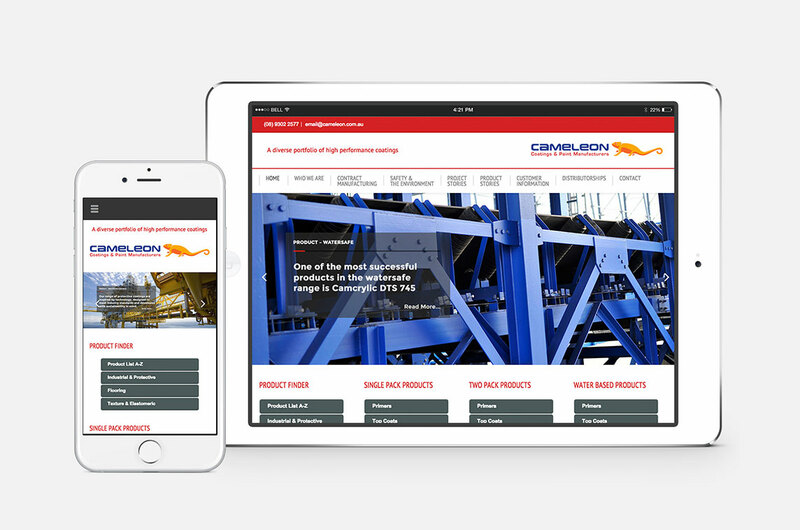 If it’s a simple yet practical site you need, or a complex, highly functional online store, we have you covered. Don’t give yourself a headache. Let us create a web design you are proud to direct your customers to and trust in our commitment to deliver a sustainable website that will last the test of time. Think Studios can help you drive attention towards your website buy collecting and maintaining an email database. This is beneficial as it can drive sales for E-Commerce websites or influence a client to make an appointment or request a quote. 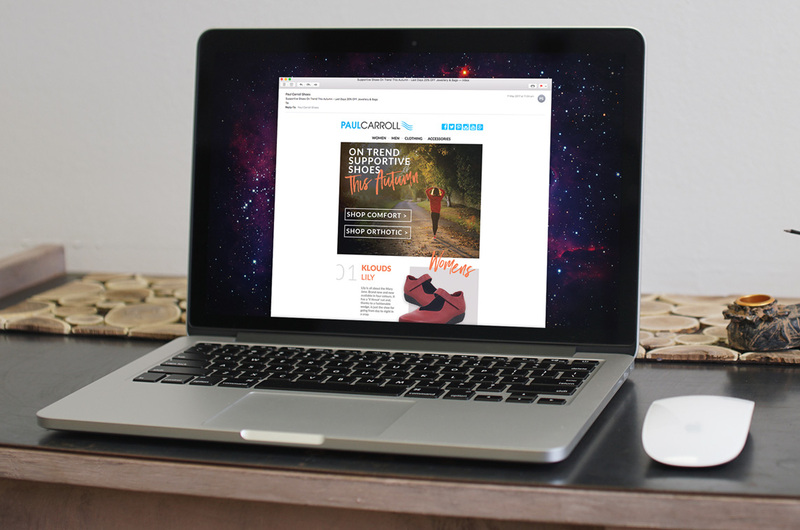 We work closely with Paul Carroll Shoes and have collected a database of over 25,000 customers that we regularly send email campaigns too. Email campaigns can even be targeted to a geo-location or a suitable age demographic. Social Media campaigns can go hand-in-hand with Email Marketing. We can plan your campaign, create the artwork, target the correct audience and monitor how well it’s tracking. Once we see the effectiveness we can see other avenues to target. Want to spark some attention? We can create website banners or landing pages. Get attention as soon a customer or client enters your website with an interactive web banner. Looking to advertise online? We can create eye-catching advertisements that prompt clicks and further drive leads to your website or offer. Fill out the form below and we will be in touch with you shortly to discuss your design requirements.